Now, as you might know, binoculars are used to get a clearer view of distant objects or living things. And to make that possible, two convex lenses are used by placing one after the other. The first convex lens captures the light rays from a distant place and focuses on the lens causing the image to appear like as if it were a short distance away from the viewer. The lens that catches the light rays from a face is called the objective lens. It is closer to the object that you are viewing. The other lens behind the objective lens now picks the image from the objective and magnifies it. 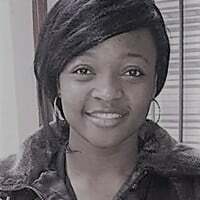 Even though the second lens magnifies the image but it doesn’t correct the image inversion problem caused by the convex lens. Because of that binoculars have a pair of prisms (AKA large wedge of glass) inside them to rotate the image through 180 degrees. There are two ways in which the prism can be arranged; they prism can either be arranged back-to-back arrangement which is also known as roof prisms and the other arrangement is 90 degrees also famously called Porro prisms. With these two design techniques that binoculars are built with, you will realize that the design you chose will depend on how comfortable it feels in your hands relative to what you actually want to do with them. If you are looking for a steadier image and those that feel comfortable in your hands the Porro prism binoculars are better and give the viewer a larger image. They also offer you a wider range of adjustment. Their downside is that their lenses are less powerful compared to the roof prism binoculars and therefore not able to cover longer distances. 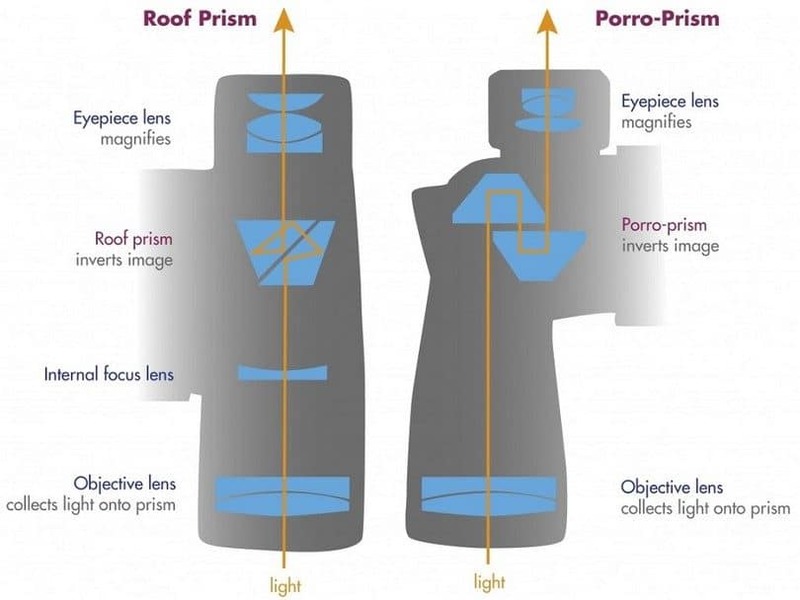 The roof prism binoculars the more powerful of the two categories. They are designed such that their oculars are closer together to hold a steady image. Even though they are more powerful, they are less adjustable and isn’t easy to hold a steadier image when viewing. Because of the prism weight binoculars tend to be a be heavy and you might find some which are bulky in the middle. But compact binoculars are less heavy because they have smaller prism. Binoculars are made in such a way that they are airtight and If the air-tight seal is broken, the interior of the ocular will quickly collect moisture, get foggy and be unusable. All through the construction of binoculars as they were decades ago, they are just made to be more précised now than they were. Nowadays the oculars are filled with nitrogen to help keep them clearer and extend their lifespan. What do the numbers mean? The numbers that identify binoculars, like “8 x 42”, are magnification specifications (a.k.a. “mag specs”). They describe the manner in which the binoculars view the object or the terrain you want to look at. Specific mag specs are good for specific areas and situations. The first number tells you how many times the object’s size is multiplied in your lenses, so “8” means the object will appear eight times closer to you than it is; it is easier to hold an image steady with binoculars that have lower magnification specs. The second number is the physical diameter of each of your objective lenses, measured in millimeters which also tells you how much lights the objective lens can gather from the object. Still wondering how do binoculars work?. Checkout this video for more explanation. 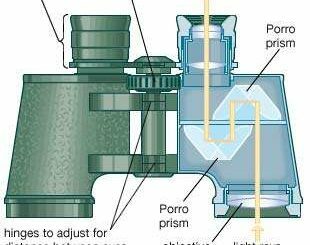 What is the Function of Prisms in Binoculars?